PG Department of Computer Application at Marian College offers MCA programme that is completely unique, Industry focused and student centric. The objective of the programme is to mold out professionals who are completely equipped right away, to take up real-time Industry challenges. MCA @ Marian offers Experiential learning by virtue of theme-based workshops, presentations, and other participative and collaborative learning strategies. Our syllabus is updated every year to catch-up with the most current industry requirements, thanks to the Autonomous status of Marian College and the presence of Pan India - Senior Industry Experts as curriculum designers, which makes it possible. We offer multiple specializations and combination of those specializations in an omni-directional pattern, so that the students get an opportunity to select the specialization of their choice. Candidates should have passed in any recognized Bachelor’s Degree of minimum 3 years duration with Mathematics at 10+2 level OR at Graduate level. The candidate should have secured a minimum aggregate of 50% marks (CGPA 2 out of 4 / CCPA 5 out of 10) in their Degree examination. The minimum aggregate is 45% for candidates belonging to reserved category. For SC and ST candidates, a minimum pass in the degree examination is sufficient. Candidates should have passed BCA / B.Sc. 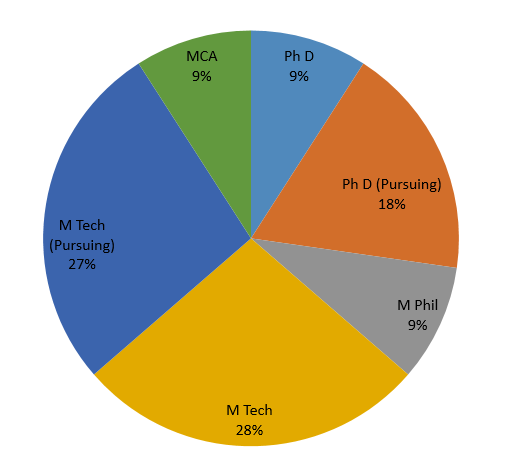 (IT/COMPUTER SCIENCE) Degree of minimum 3 years duration with Mathematics at 10+2 level OR at Graduate level. 50% based on the mark of the qualifying examination. Candidates applying for MCA course should bring the downloaded application form for the interview. MCA @ Marian is unique because of the power-mix strategies adopted to ensure best industry practices to mold true IT Professionals with values. The syllabus is visualized and developed by Senior Industry experts and veteran academicians who are experienced in developing and implementing syllabuses of leading universities. Mr. Sreenivasaprasad, an IT Professional with more than 20 years of experience in IBM, Accenture etc. Mr. Winny M Thomas – Principal Security Architect having more than 15 years of experience. Along with the core syllabus, various add on programmes and International certifications are offered based on the stream opted by the students. This system ensures that, along with covering the entire must-cover aspects of a PG course in Computer Application, the students get additional focused exposure to core papers specific to their selected Stream of Specialization. The Steams of Specializations are carefully handpicked considering the current industry requirements and future Global IT Market predictions. The biggest challenge faced by IT students is the unemployability factor that makes them non industry ready. They need to gain Industry specific adaptation of the technologies that they have already learned as part of their syllabus. This is the point where MCA @ Marian offers Industry Academia bridging Programmes. We have already made tie-ups with corporates to offer the Industry bridging programme. MCA@ Marian is in every sense in sync with the industry requirements. Even the couse timing is from 8AM till 8PM. This extended timing facilitates effective course delivery and makes the students adapted to extended industry work hours. Dr.Mendus Jacob, Director, MCA Program is the CEO of a reputed IT Company. More than 50% of the Regular Faculty is having Industry Experience. The biggest advantage for a student with an inner fire to launch his own IT company is that Information technology is a vertical that needs very little investment for a start-up initiative. We offer all the needed support to students who come up with vibrant, and creative start-up ideas Our Incubation division take care of the mentoring activities and also assist students to be legally compliant as a registered start-up company. 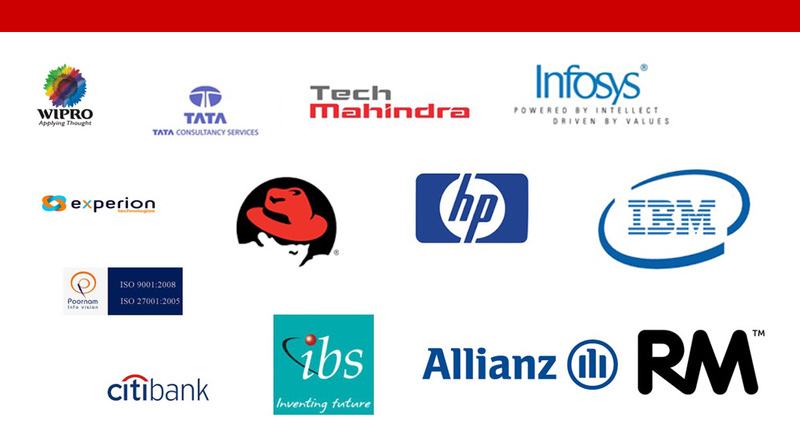 Interface - Industry interaction classes by IT Experts like Mr. R. Narayanan (Former Vice President – TCS) Mr. Sreenivasa Prasad (FELIP, Bangalore) Mr. Amal Mathai (Red Hat) and prominent MCA Alumni. Training for all students in latest technologies like .net, PHP, Linux , Android etc. Planned and fixed exam Schedules and prompt exam results. Scholarship for meritorious and financially backward students. Misson10X- Faculty Development Programme by WIPRO Technologies. 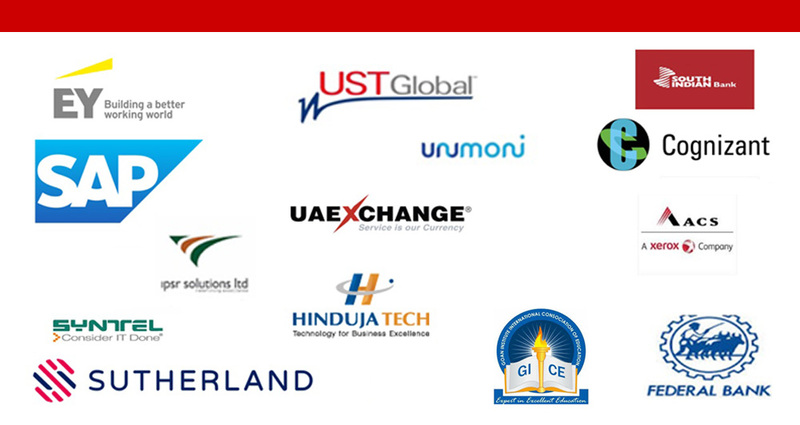 Gold Partnership with Keane Technologies Inc., USA for Placements. Periodical Industry visits to IT Parks. Meet the Entrepreneurs: where students get an opportunity to interact with entrepreneurs and learn about industry standards. IT Awards: Marian MCA has launched IT Awards for young emerging Entrepreneurs as a token of appreciation and for further link building. Online examination hub of Tata Consultancy Services (TCS). Industry standard timings (8 am to 8 m) to familiarize students with the demanding schedules of industry. Executive power- dressing' to give students an air of confidence. Outreach- Promotion of social projects such as visits to orphanage, house for the needy, blood donation, e-literacy campaigns etc. are organized to sensitize the students. Walk 'n' Talk - As a part of innovative practices, Walk 'n'Talk programme is conducted twice a semester, so as to provide an open house for students with their teachers amidst the serene cool ambience of Kuttikkanam. We employ collaborative and participative learning to ensure more student involvement in the learning process. Most of the nouvelle technologies are introduced to the students either as a boot camp or a Hackathon. We also consider scores from Hackathon based websites like Hackerank.com while considering scores for internal assessments. The following strategies are used to ensure best Pedagogy standards. The students undertake a statistical survey in a confined population to collect, analyse and interpret data on various human-interest aspects, as part of learning Data Science. The Activity helps students to gain hands on experience in Data Science and also to understand real time scenarios. Students are exposed to the entire lifecycle of conducting a survey right from preparing the survey objective, questionnaire preparation, identifying population, assigning squads, ensuring usable responses, Statistical analysis, and finally incorporating the IT element. 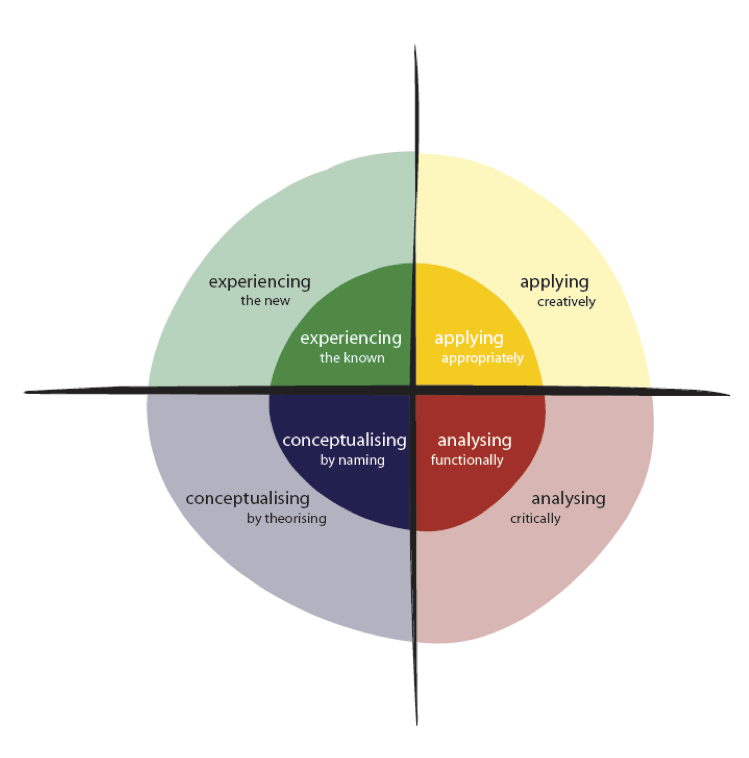 A Creativity enhancement and nurturing programme is offered as a 3-day workshop – Creative Studio. This workshop explores and triggers the creativity of students and empowers them to become out-of-the-box thinkers. The event also focuses on spontaneous decision-making skills, Self-motivation, building positive attitude, team work etc. Hackathons are the hiring mantras of the present day. Rather than searching for academic skills and knowledge in any specific technologies, companies are now looking for prospective professionals who have problem solving skills to finish a task within the given time frame. The end result is a Hackathon. Our teaching methods employ live as well as simulated hackathons. MCA @Marian also employ scores of students on hackathon portals like hackerrank, hackerearth etc. for internal academic grading. Domain Expertise Workshops are also conducted in every semester to ensure that the technologies learned in each semester is applied on a real time project. For effective Task Based Learning, we are also offering Webinars by Industry Experts. A detailed analysis and continuation of the learned topics are also done to develop Self learning and research oriented learning capability of students. Portals like code.org is utilized to develop logical skills of students. MCA @ Marian utilizes new and emerging standard practices in course delivery. Webinars are often conducted by Industry experts, so that the students get an opportunity to interact with leaders in the industry and learn the concepts from the best resource persons available. The couse delivery pattern also focus on nurturing Self Learning ability among students. Online portals like Code.org are also utilized to develop logical skills of students. Our faculty has a rich industry experience and all are well qualified. Many of them have secured higher degrees like PhD, M tech, M Phil etc. The primary objective of MCA course is to ensure that the students are fully employable in every aspect. Our Placement team ensure that along with technology elements, the students are well versed in their employability skills as well. The placement team hunt for top notch organizations to place our students with them as well. Our Placement team is headed by Dr. BRIJESH GEORGE JOHN, M.Sc., MBA, Ph.D. He is also the Chairman of Placement Officer’s Consortium in Kerala – CTIPS. He is a noted Soft Skills Trainer and Columnist. He has 19 years’ experience in HR, Teaching, and Training & Development in India and abroad. He has been the resource person for different Organizations including Mahatma Gandhi University, Malayala Manorama, ICT Academy of Kerala, Mathrubhumi , Dept. of Technical Education , AICTE etc.Dr Brijesh has authored 2 books, one on Campus Placements and another on Online Shopping and both published by Manorama Books.Dr Brijesh is also a noted youtuber on Career & Placements with 50,000 plus subscribers and lakhs of viewers. As Hackathons are now adopted by many IT companies to recruit candidates, our placement team is putting in efforts for bringing companies to conduct hackathons for our students. Numerous simulated hackathon projects are offered to equip students for upcoming hackathon events. Students are ofered simulation projects in hackathon portals like hackerrank and the scores achieved are constantly monitered by the responsible faculty members.